High strength and durability of our Quenched & Tempered Steel Plates make them widely demanded in numerous applications. Our Quenched & Tempered Steel Plates are very much capable of bearing high impacts and abrasion due to which they are used in heavy duty applications. Dump bodies, mining and construction equipment, welded bridges and other construction, pressure vessels, welded boilers, hauling and lifting equipment are some of the applications that utilize the Quenched & Tempered Steel Plates. 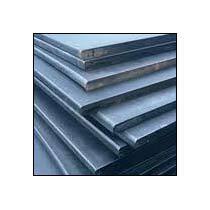 Our customers can avail our Quenched & Tempered Steel Plates in grades including ASTM A 514 GR. B, ASTM A 517 GR. F, ASTM A 537 CL.1 & CL. 2.